Charlie's cluster fudge reminds you of a marvelously melted milky way bar with its smooth, creamy mix of chocolate, caramel, nut, and nougat. This marvelous mix is named after David's rescue pitbull, Charlie -- a loving, energetic, spirited, grateful, goofy pitbull. David adopted Charlie when he was nine months old and while the adjustment had a few hick-ups (Charlie had been caged most of his life and it took him a few months to feel comfortable with freedom, grass, and steady companionship), Charlie is, beyond doubt, one of the best things that ever came into our lives. 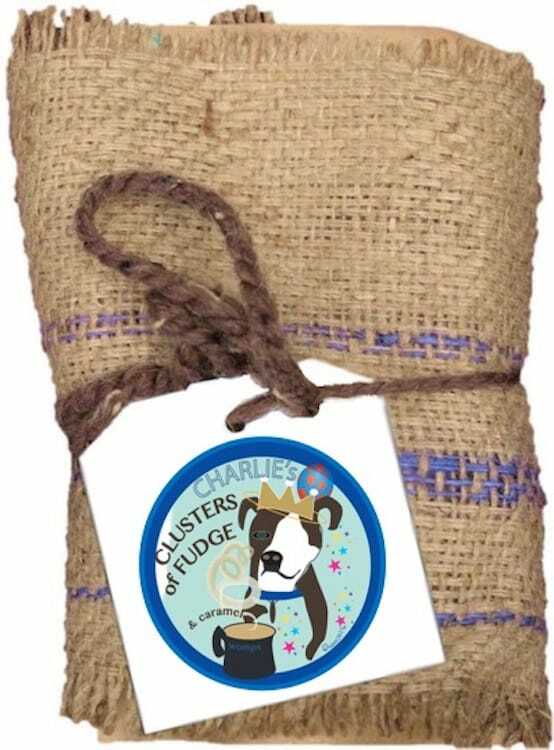 In honor of Charlie, Choppa, and all great rescue animals, proceeds from sales of Charlie's cluster fudge will go to Handsome Dan's Rescue. We recommend enjoying this marvelous brew with steamed milk and a touch of cocoa powder / syrup or sugar. Enjoy!